Although this isn’t edible, I am including it on here, because it’s made entirely out of household food items. It’s super easy to make and would be a great project for parents to do with their kids. 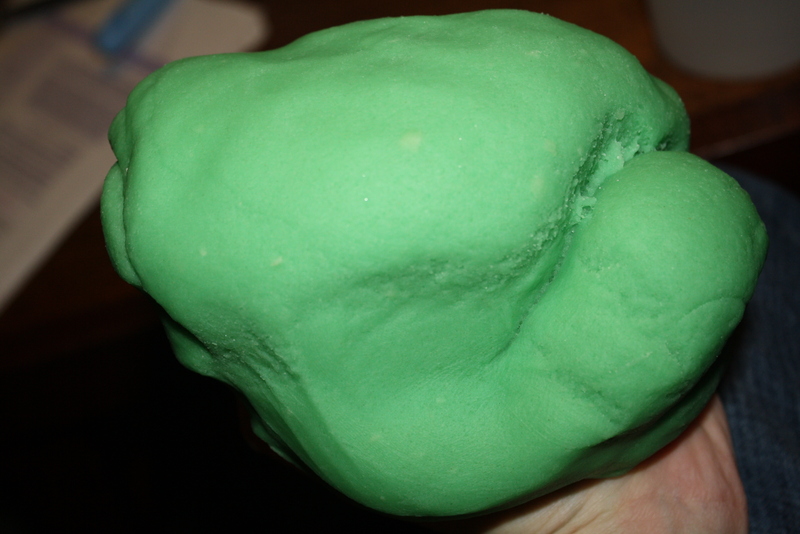 The end result smells, feels, and looks exactly like the store-bought variety. My mom and I used to make this on occasion and I always really enjoyed it. Mix all ingredients together in a heavy saucepan. Cook over medium heat. Stir constantly (don’t worry about lumps). Cook 3-5 minutes or until it forms a big ball and is not sticky wet. Do not undercook. Remove from heat and turn onto floured waxed paper or counter. Knead until cool. Stir in airtight container. It will keep this way for up to 3 months. Keeps better in refrigerator. Fun idea, and I’m sure it contains a LOT less chemicals! 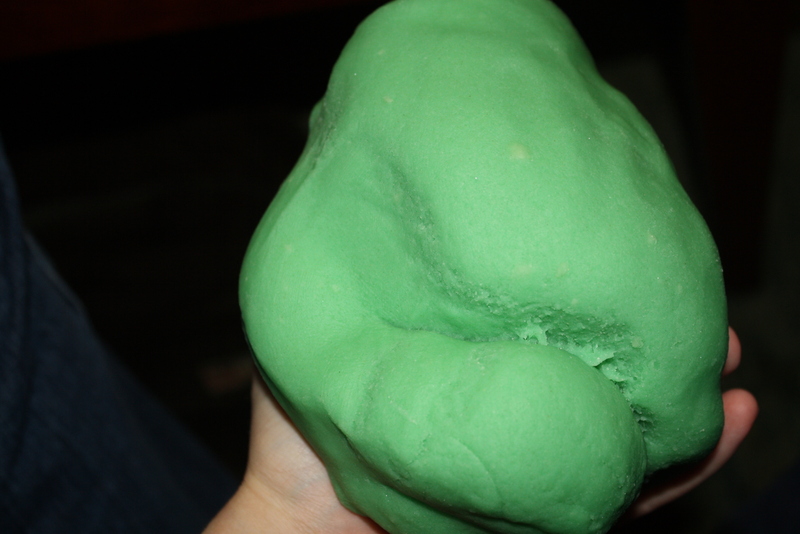 I used to babysit a lot and the kids would love it when I make homemade play dough. So fun!